ChildChild age: 3-11 years. Under 3 ride free on parents lap. 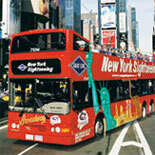 Enjoy this double decker sightseeing bus combo to see the best of New York City!! 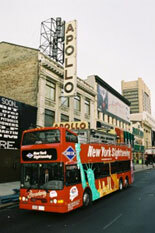 Enjoy this double decker sightseeing bus combo to see the best of New York City!! 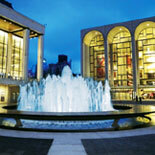 The Super New York Tour includes the Uptown, Downtown, Bronx and Brooklyn Loops and the Night Tour. Hop-on and hop-off at 50 stops throughout Manhattan and Brooklyn for 72 hours! See the hop-on, hop-off map for more details. The Bronx Loop and the Night Tour are not Hop-On/Hop-Off. 5th & 7th Avenue boutiques, restaurants, shops, and more! 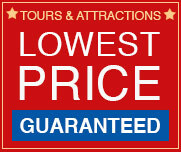 Enjoy EITHER of the two great attractions in New York. 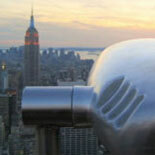 Top of the Rock OR Empire State Building. 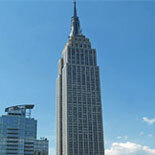 The panoramic views of New York's skyline from these iconic buildings are amazing. The unique opportunity that this tour allows is for you to enjoy the sites and locations at you own pace. On the Sightseeing Ferry you will experience the breathtaking view of the Statue of Liberty National Monument and Ellis Island,. Taking in the sites of New York from the water is relaxing. 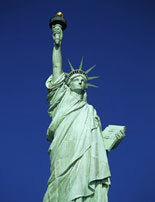 About The Ellis Island/Statue of Liberty Island Ferry: Ellis Island is open. Liberty Island is also open, though access to the interior of the Statue of Liberty Monument is restricted as a security measure. Over 40% of the U.S. population descend from the 17 million immigrants that have passed through Ellis Island from 1892 to 1954. 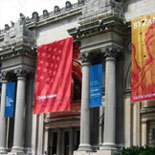 The three story Ellis Island Museum is housed in the same building that the immigrants came through in those 64 years. The ferries, which leave from Battery Park in Manhattan operate 7 days a week, from approximately 9:30am to 3:30pm. 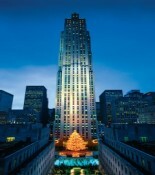 All tours are closed on Christmas Day and New Year's Day. between 47th & 48th Sts. Child Ticket: 3-11 yrs. of age. Children under the age of 3 ride free on Parent's lap. Your 48-hour All Loops Tour ticket is valid when you exchange your eTicket voucher for a boarding ticket. 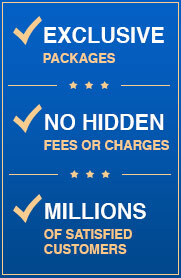 Once vouchers are redeemed for tickets, Tickets are non-refundable but can be used up to ONE YEAR from date of redemption. Night Tour or Holiday Lights Tour is valid for one evening only. Other Loop tickets are valid for 48-hours. Any passenger requiring special assistance such as an ADA accessible bus is requested to inform Customer Service at time of reservation AND re-inform no later than 48 hours prior to departure.